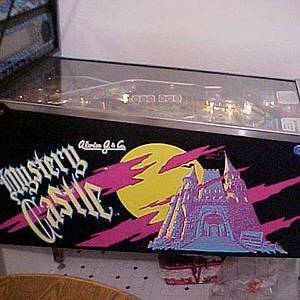 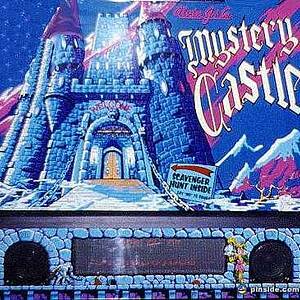 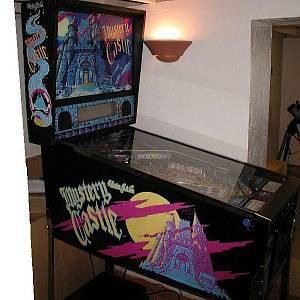 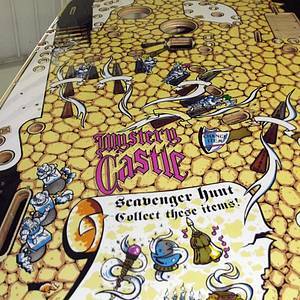 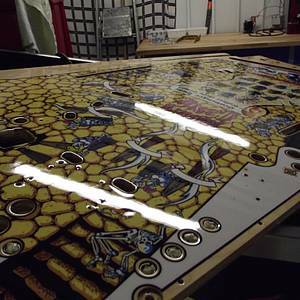 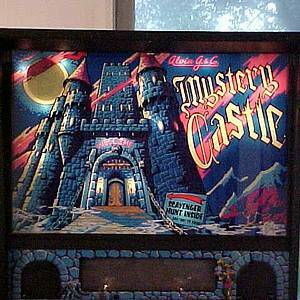 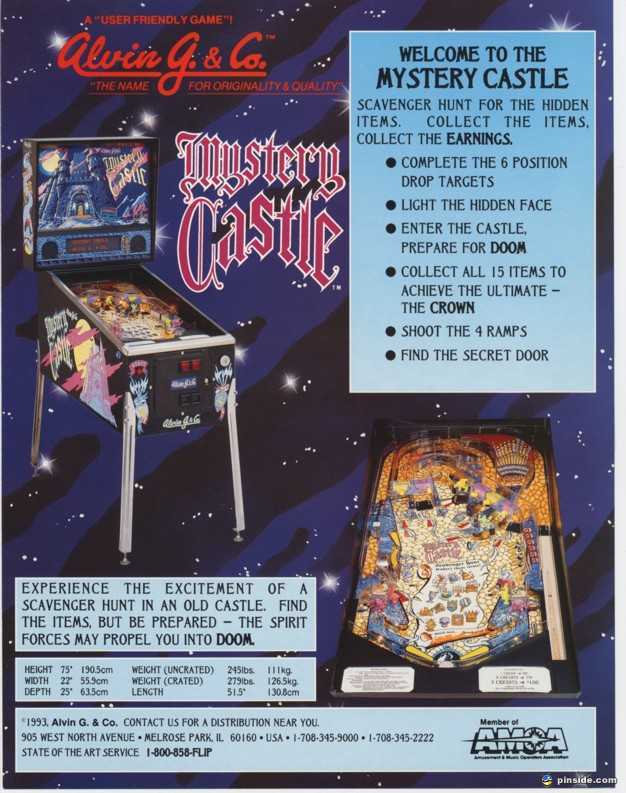 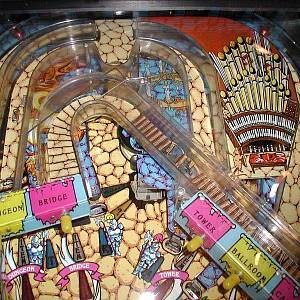 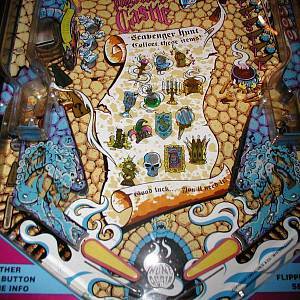 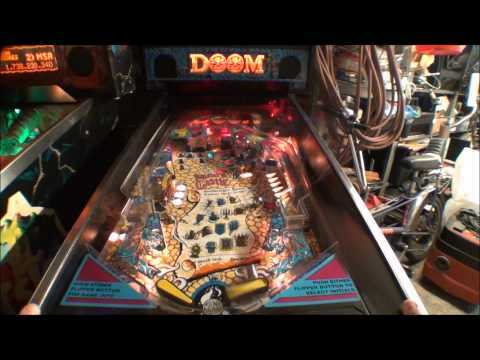 Mystery Castle is a pinball machine from September 1993, manufactured by Alvin G. and Company. 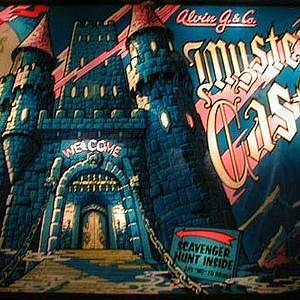 "Alvin G & Co Invites you to attend a scavenger hunt at the... MYSTERY CASTLE. 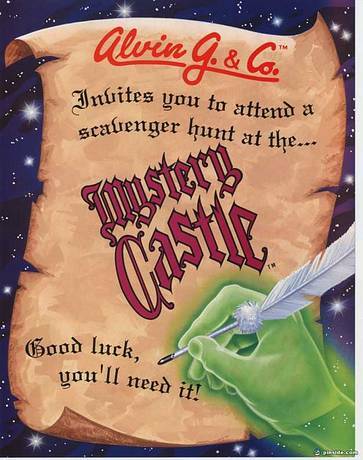 Good luck... You'll need it!" 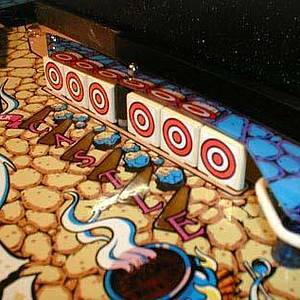 This game has received 36 approved Pinsider ratings and currently has a rating of 7.676 out of 10. 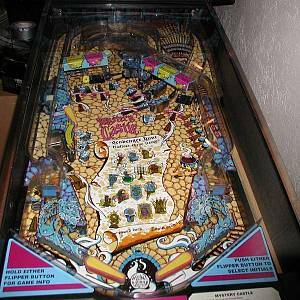 There are 20 rating comments for this game.